How a TRUE president responds to such a tragic event. Yes, this is from Barack Obama. Surely repeatedly dropping 8,000 lbs of water at one time on an already brittle 900 year-old historic stone structure, in the heart of a major city, would have no ill effects. 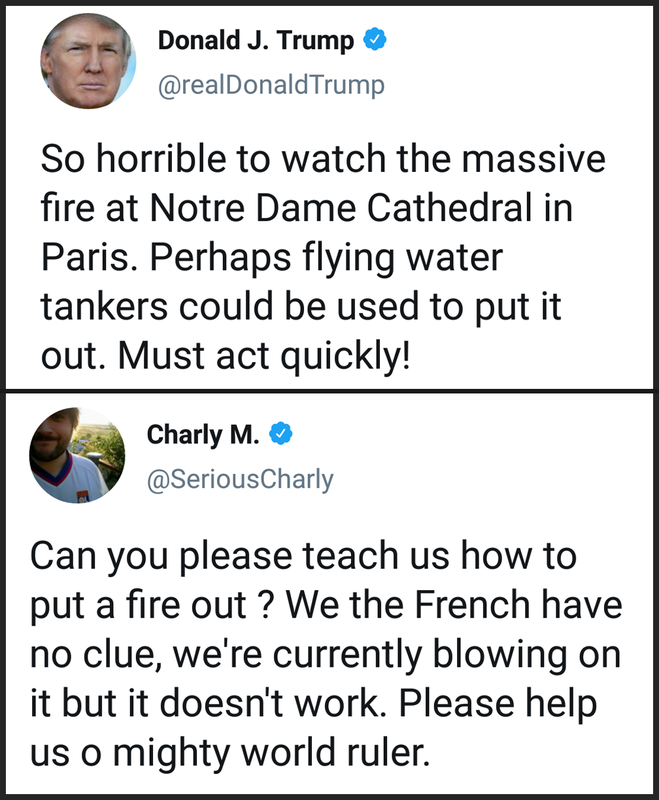 Trump is now a firefighter? Hello!!!! Trump is an expert on subjects A through Z. According to his supporters he is the most intelligent man in the world. Another insensitive, idiotic comment for which Americans have to apologize.